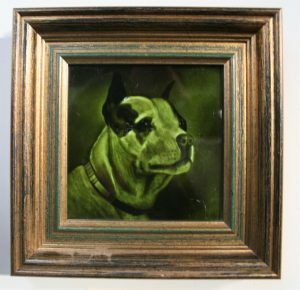 A rare and interesting portrait of a Staffordshire Bull Terrier. The design is by George Cartlidge, a well known Staffordshire designer of the late C19th and early C20th. 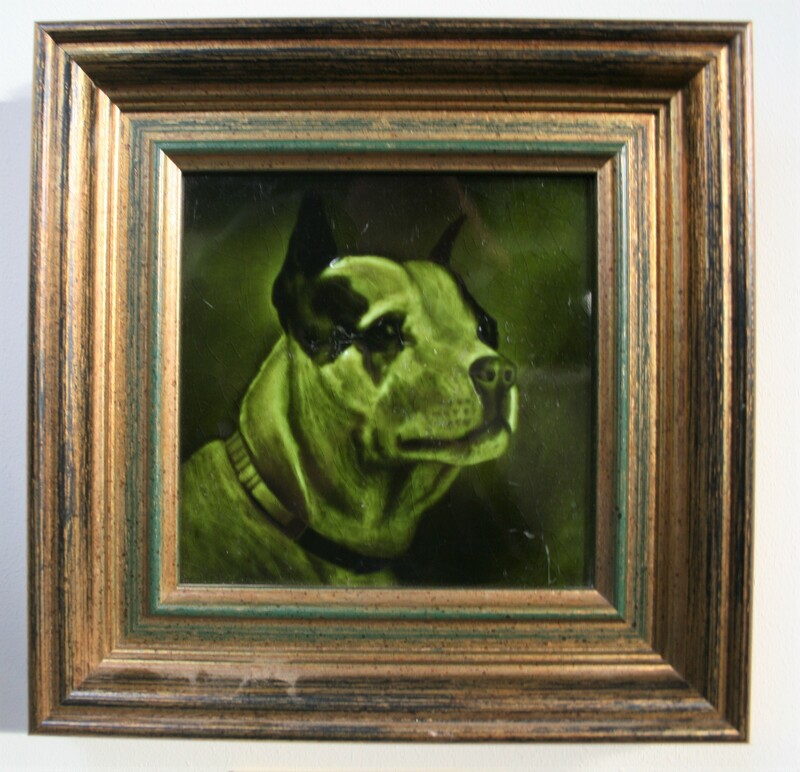 This portrait tile was produced by Sherwin and Cotton using a process known as Emaux Ombrants . 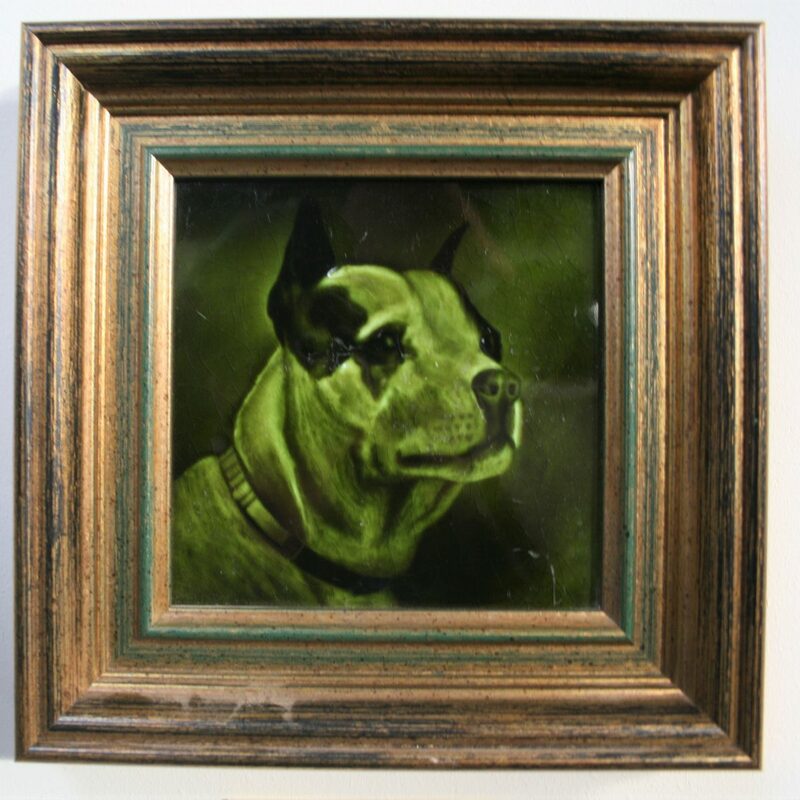 The dog is said to have belonged to George Cartlidge. Sherwin and Cotton ceased production in 1911. George Cartlidge subsequently achieved fame as the designer of Morris Ware.